Minutes of last meeting grudgingly approved in fear of losing minute secretary. IC made contact Peak Cycles, they are coming to AGM, IC to let JP know details of where to send the £50 to. IC asked them to write article for newsletter. Station Forecourt meeting happened and the level of cycle storage has been reduced due to objections from conservation group. Group members to email Andy Smart asking about the proposals and why the numbers originally proposed have been reduced. JS to canvass opinion on railway station cyclists. Jan newsletters that need to be printed to go out with March newsletter. CR to find the 40 names of people who need Jan hard copy. ID to get the stuff for the newsletter printed after 9th then dropped at Soundbites for DC to bring to March 20th stuffing meeting. May 8th 7:30pm Friends Meeting House, main speaker from Peak Cycles. 40 minutes to be broken up by Peak Cycles. 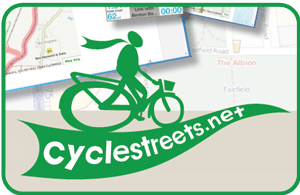 Awards for member of the year, project of the year, cycling pub, business cycle friendly. Sentence in the newsletter asking for best cycle friendly business. Veggie peddlers was a suggestion. Closed road circuit more problematic, takes up twelfth of the local nature reserve. N.ick Moyes objecting. Issue is over car parking which has pushed road circuit into nature reserve. Need to be imaginative. Lot of support for road circuit. DCC planners will know when it is going to planning committee. TR to find out from Sarah Booty dates. West Chellaston: TR sent aspiration for it to be the most cycled to development in the UK. 20’s Plenty: Schemes to be put forward by Neighbourhood Boards will be looked on favourably. Email the link for the consultation for the Local Development Plan to all the members. Put same info on Facebook DC. It is a let us know what you think link. LC to do cover letter. Uttoxeter New Road, DCC are proposing to put in 3 lanes of traffic either side of crossroads with ring road. LC to draft a letter shown to TR because we need to stop this. ASL not put back at Junction heading LC has contacted Ian Butler. Planning application gone in for Heatherton Park 2, 700 homes with halving of money for transport issues ie 106. May 26th 27th, bike generator workshop at Silk Mill Museum, free to those. Sept 9th Paralympics closing ceremony 50 bike generator. We want teams of people to power the generators. Council House steps both sides but we want cycling allowed in front of council house. Route 6 closed but shorter diversion by the sluices. Heatherton to city centre signage takes you on a roundabout hilly route, there is a better alternative but needs TRO.